If you are looking for website designing, website re-designing, hosting and marketing your business online within your budget, come and talk to us. We design budget websites to reflect nature of your starter, business or organization without compromising with quality and professionalism to grow in budding competition era. In the digital world, not having a website for your business means a huge loss of potential customers. A website is a valuable tool that can aid in generating targeted leads for your business. It is also the easiest way to market your products and services to the global audience. Thus, creating a website for your business is important if you want to improve your brand’s online visibility as well as acquire more customers. At SD Web Solutions, we create custom web designs that are unique to each enterprise and help businesses stand out from their competitors. 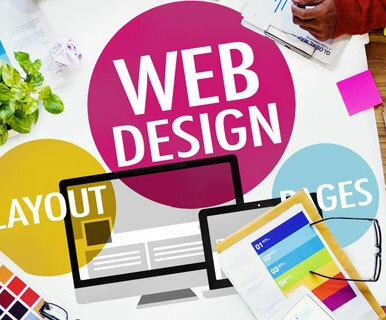 We are a well-established web design company in Bareilly,India and have over 13 years of experience in creating responsive websites that are aesthetically appealing as well as SEO-friendly. We are fully dedicated in not just in giving your website a professional feel but also in driving you and your potential customers together. Our affordable designs are user friendly and easy to navigate through providing a 24/7 web presence for your customers, with the latest prices and information on your products.